CHURCH AND FOOTBALL? YES, WE THINK SO! Yesterday we had a football-themed service at church. 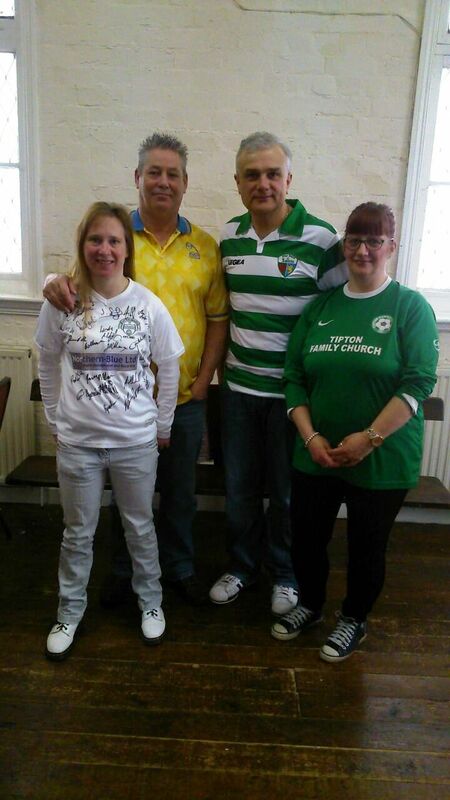 We encouraged people to come in their shirts and above (from left to right) are Kim in her East Stirlingshire signed shirt, Andy the Owl in his Sheffield Wednesday top, Stewart representing The New Saints and Debby flying the TFC FC flag. We will be having monthly services of this kind into the forseeable future, so why not check out our church diary and come and join us! Previous HOW DID YOUR SUNDAY GO?